Make modern and technology slideshow or epical futuristic photo opener with parallax and hexagones effects! 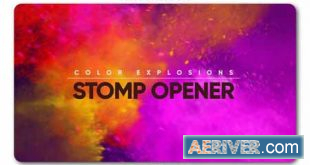 Use this template for: digital opener or epic slideshow, sci-fi slideshow, laboratory or futuristic introduction, corporate or techno opener, special event opener, military slideshow, hi-tech photo presentation, fast and minimal promo, simple slides, emergency slideshow, travel opener, gallery, game app promo. It can be showcase for your product, commercial promo, adventure slideshow, industrial and binary opener. Design your own extra or emergency story, video for product launch, corporate presentation, product gallery, site presentation, adventure game promotion, game opener, dynamic intro, workout instruction, documentary film. Create travel slideshow, simple slides, minimal slideshow, company history video, urban demo reel, trailer, scrolling slides, grunge media opener, sport event, present a new brand, education video, tutorial, christmas, birthday, anniversary, memorial day, wedding day, you can make any event! Create your own magazine demo reel, night party, present your portfolio, opener for any special occasions, application promo. It can be showcase for your product, commercial promo, hologram slideshow, hud and ui opener, you can create presentation for your business. Also, you can combine this template with my other items and create: video album, summer travel or adventure in interesting tour, design your elegant reel, holiday slideshow, simple quick slideshow, showreel, demo reel or any type of slideshow, opener, promo, intro, for your media. Use it for TV show, design your awesome broadcast pack, awards package, use my work in fashion event and you can give your media more gloss and glamour. Make your own magazine demo reel, night party, present your portfolio, corporate opener, opener for any special occasions, app promo. Create video for YouTube or Vimeo or other media hosting site. You can place video in Facebook, Twitter or any other social networks and impress your friends. 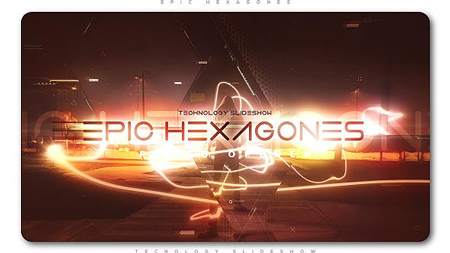 Epic Hexagones Technology Slideshow is a high quality, well organized and easy customizing template. Just drop your image or video, edit the text, add audio and enjoy result!